Linux-based storage software ensuring Business Continuity, High Availability and centralized storage management. A robust NAS and SAN storage OS that offers excellent compatibility with industry standards, supports various hardware setups and is easy to use and manage. Open-E, Inc. is a company focusing on IP-based storage management software. It is well known for its Open-E Data Storage Software V7 (DSS V7), a file and block storage management software that supports NAS storage, InfiniBand and FibreChannel. The software is iSCSI Active-Active Ready for high-availability and additionally provides Remote Mirroring for disaster recovery, WORM (Write Once Read Many) support for digital archiving, and NDMP (Network Data Management Protocol) support for universal backup. Open-E’s philosophy is simple: develop the best software in the industry, use the latest technology and maintain a competitive edge in all market areas – benefiting customers and partners. iSCSI (SAN) Active-Active Failover boosts overall system performance and minimizes downtime since the read, write and replication traffic is balanced over two nodes. Open-E’s DSS family of products is widely recognized and awarded by the storage industry. There are over 27,000 installations worldwide among which there are many Fortune 500 companies. Open-E’s highly qualified support engineers offer technical guidance during deployment and everyday use. Wide range of affordable and flexible Support Plans suits the needs of any company. Open-E DSS V7 is a fully featured NAS (Network Attached Storage) and SAN (Storage Area Network) software platform. NAS offers support for multiple file protocols which enable you to build cross-platform solutions and SAN offers iSCSI Target and Fibre Channel Target functionalities. The flexible design and excellent scalability of Open-E DSS V7 enables companies and institutions of all sizes to create effective storage solutions that can meet and adapt to the simplest or the most complex data management needs. Open-E DSS V7 brings superior performance, extensibility and reliability, and is out of the box tuned to provide high data-throughput and data protection for centralized storage. No need for an additional operating system – Open-E DSS V7 helps businesses to implement cost-effective data storage solutions by providing complete management software. 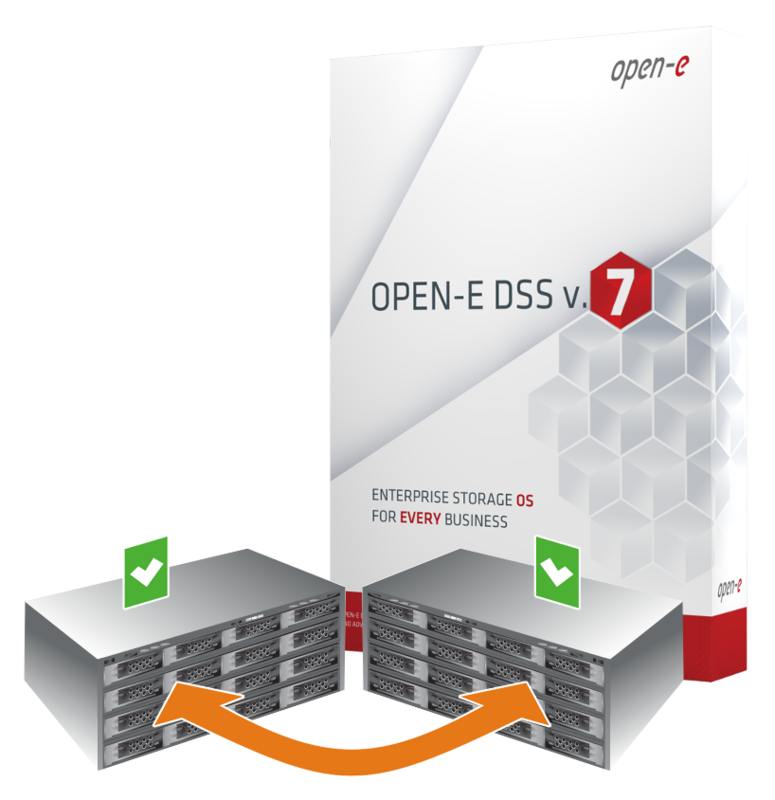 Open-E DSS V7 will turn any commodity server into an enterprise data storage appliance. Thanks to compatibility with VMware, Citrix Xen and MS Hyper-V, the software is an ideal tool for cloud storage and virtualization environments. Building a storage server using Open-E DSS V7 can be done in minutes! It is fast and easy thanks to the simple installation and configuration process. Additionally, ongoing management and maintenance of the server is straightforward and user-friendly.